BlogHome » q acoustics 350 side view » Blog » What is an AV Receiver? An Audio/Video (AV) receiver is a device used to receive and transmit signals for video and audio from a variety of input sources. When connected to a display such as a monitor, television, or projector, the AV receiver plays audio and video from the selected source, which may include a satellite dish, Blu-ray disc player, DVD player, VCR, laptop, mobile device, or a video game console. Multiple input sources can be attached to the receiver simultaneously and the user typically selects the current input source using a remote control or buttons on the receiver itself. 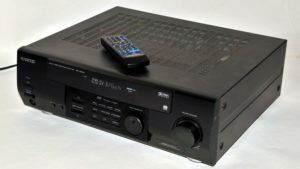 The primary purpose of an AV receiver is to connect all of your digital media devices, displays, and sound sources into a single centralized hardware configuration. Regardless of how powerful the audio source is, it should always be fed through an AV receiver to allow for streamlined source selection and switching. Likewise, the receiver also sends video data from connected devices to the desired output – typically a TV/projector or monitor. Thus, the receiver will usually be connected to a cable box, DVD/Blu-ray player, game console, or DVR. The best AV receivers offer a large number of input ports in combination with style and simplicity to provide a self-explanatory and user-friendly experience. The majority of AV receivers can also receive radio signals and can, therefore, be used as an AM/FM source. In addition, many newer models include satellite radio receivers that let you pick up services like Sirius and XM radio. However, keep in mind that such radio services often come at a cost, but you may find it worthwhile to purchase satellite radio programming to gain access to exclusive sports commentary and a much larger variety of radio stations than you'd find on conventional radio. Some new receivers can even pick up the recently introduced HD Radio signal format, which provides quality comparable to satellite radio, but without the associated subscription costs. By decoding any audio format that it encounters, a good AV receiver will ensure that you don't have to mess around with downloading and installing codecs or switching input devices unnecessarily. 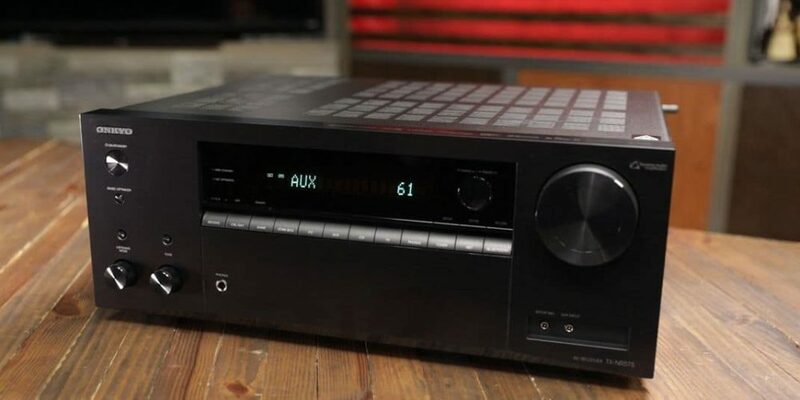 Whether analog or digital, an AV receiver will take whatever sound input you connect it to and convert it into a signal that can be used by the audio output device. Look for recent model receivers that are capable of decoding the newer DTS Master Audio and Dolby TrueHD audio formats, which are being used on an increasing number of Blu-ray discs. An AV receiver will also include at least five amplification channels, each of which can drive power to a component of your surround sound speaker system. 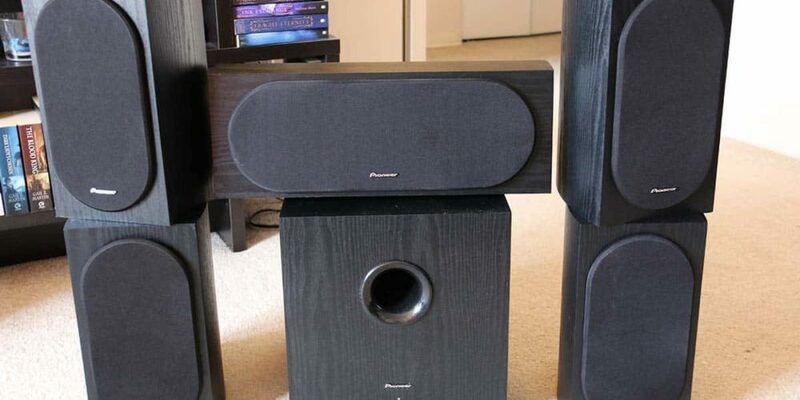 This is necessary for incorporating speakers that aren't self-powered, as is often the case with the larger and more powerful home theater speakers. Thus, having an AV receiver also saves you money on future speaker system purchases, as you'll be able to opt for the speakers alone, instead of a more expensive bundle that includes a receiver. Manually disconnecting and connecting different audio and video sources to your display and speaker system can be a major annoyance, especially when you just want to sit down and enjoy some media without a bunch of preliminary steps. An AV receiver eliminates that hassle not only by keeping everything plugged in and connected at all times but also by providing on-screen and on-receiver control options, as well as remote control compatibility. Although many TVs have inbuilt AV receivers, a stand-alone unit typically offers a more robust feature set while also making it easier to access the controls and connections without fiddling around in the back of your TV or other display. Plus, instead of having your TV's built-in receiver monopolize your sound system, running the audio signal through an AV receiver lets you keep other sound sources connected as well. Most newer AV receivers include digital signal processors (DSPs) that are capable of modifying the input sound with a variety of equalization presets and effects. Thus, the receiver provides a convenient method for altering the input sound to your liking, without having to separately adjust any setting within the sound system itself. These effects can range from simple playback modes and bass enhancement to more complex audio field simulations that make the sound feel as though it's being played in a specific kind of environment (i.e. - Hall, Club, Arena, etc.). This is an especially appealing feature for owners of surround sound systems who want to get the most out of their spatial audio setup. AV receivers are also preferred home media hubs because of how many different cables and devices they can connect to. Common connection types include HDMI, component video, USB, S-video, composite video, RCA, XLR, and SCART video (mostly found in European AV receivers, but rarely seen elsewhere). Finally, a good AV receiver can also convert video files in real time to improve image quality – a process known as upscaling or “up-conversion.” For example, a video with a native resolution of 480p can be upscaled to 720p. Can Routing Through an AV Receiver Degrade Video Quality? The degradation of video quality was once a concern for users of AV receivers, but with the advent of High-Definition Multimedia Interface (HDMI) connections, this is no longer an issue. Almost all newer AV receivers are capable of transferring audio and video with extremely low latency and without any reduction in signal quality. satellite dish, Blu-ray disc player, DVD player, VCR, laptop, mobile device, or a video game console. the current input source using a remote control or buttons on the receiver itself. provides quality comparable to satellite radio, but without the associated subscription costs. to mess around with downloading and installing codecs or switching input devices unnecessarily. are being used on an increasing number of Blu-ray discs. receiver control options, as well as remote control compatibility. sound sources connected as well. 480p can be upscaled to 720p. without any reduction in signal quality. 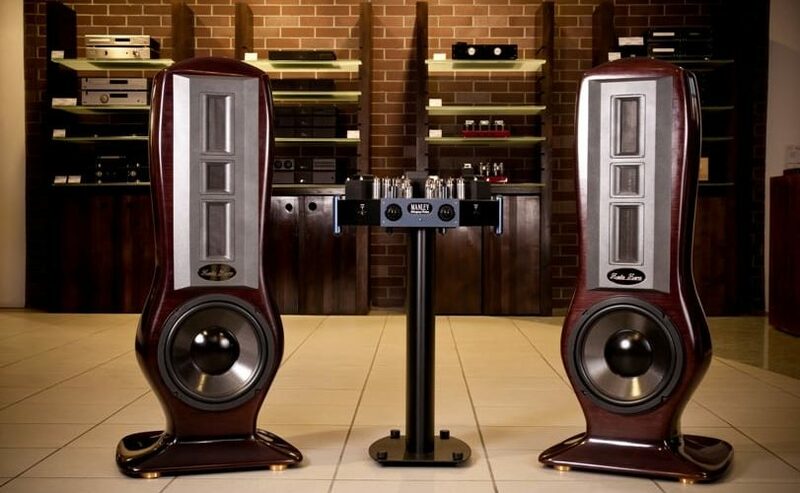 next post: What Makes the Best High-End Home Theater Speakers?